Grand County project aims to bring more bugs, bigger trout and better fishing to a stretch of the Fraser River. A stretch of the Fraser River in Grand County is on tap for a makeover. 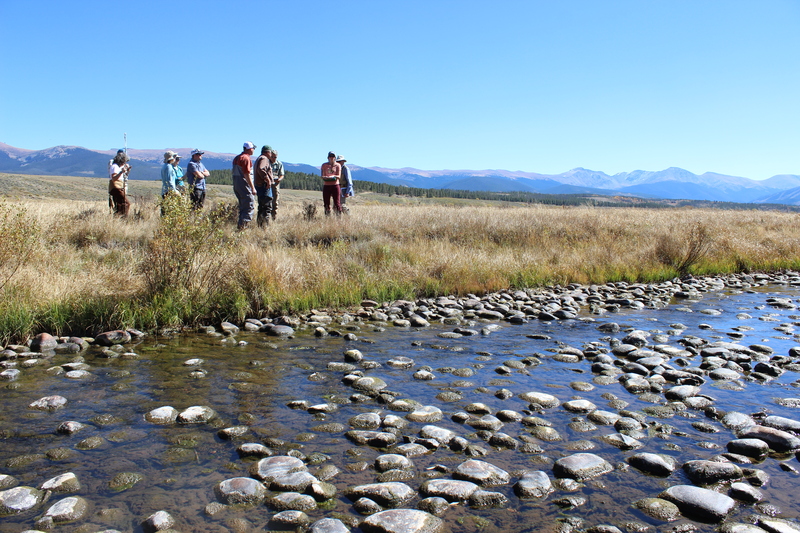 It’s a $200,000 environmental endeavor that marks the first river restoration project led by Learning By Doing — a partnership between East and West Slope water stakeholders aimed at restoring, enhancing and improving the rivers and streams of Grand County. On Sept. 27, members of the Learning By Doing team toured a 0.9-mile section of the river north of the town of Fraser where the restoration project will take place. The Learning By Doing team included representatives from Trout Unlimited, Grand County, Denver Water and the Colorado River District. During the kick-off gathering, the group reviewed plans to rehabilitate the river with Freestone Aquatics — a fisheries consulting company specializing in stream restoration. Members of Learning By Doing tour the Fraser Flats on Sept. 27. Over the years, the health of the river has declined due to diversions to the Front Range and ranching activities. 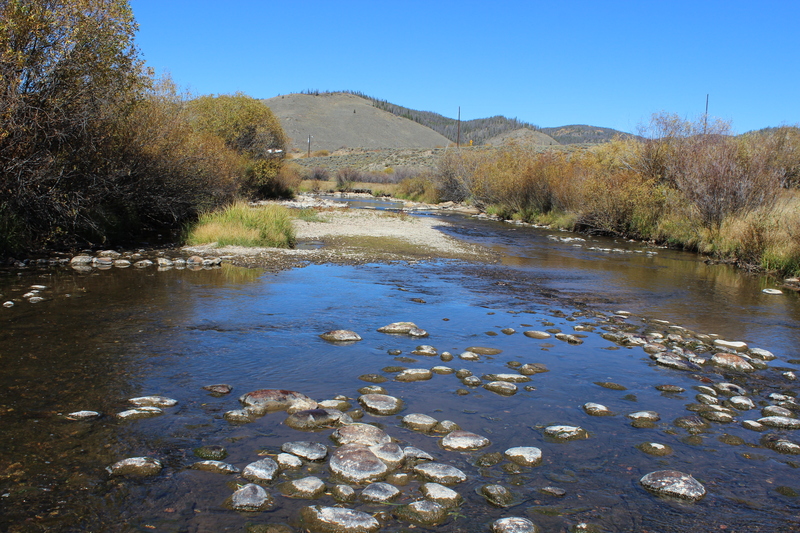 “This stretch has reduced depth of water over a wide channel, so we don’t have the healthy fish habitat we’d like to see,” said Katherine Morris, Grand County water quality specialist. Clint Packo, Freestone Aquatics president, said the natural flow of the river has changed, but the size of the channel has stayed the same. “Instead of having a river that’s wide and shallow, we’ll build a channel-within-a-channel, so water can funnel into a narrower section,” he said. The new channel will include stretches of fast-moving water, pools and other river features designed to benefit aquatic life regardless of changes in river flows. “All of these features create small spaces for aquatic insects to live in, which will give the fish a sustainable food source,” said Alexander. The stretch of the Fraser River will be reconfigured to have a narrower, deeper stream channel to improve aquatic life during low-flow periods. Next spring and summer, volunteers will plant 4,000 native plants and bushes along the banks to shade the river and keep water temperatures cool. Construction is set to begin in fall 2017 and expected to take about six weeks to complete. Grand County, Learning By Doing partners, a private landowner and a grant from Colorado Parks and Wildlife are funding the project.